The company was given the opportunity to distribute a larger handout at a home AV tradeshow in lieu of a printed publication. We wanted to provide something fun and whimsical about the industry that might encourage people to use it as cubicle decoration—and therefore a lasting advertisement for the trade publication. 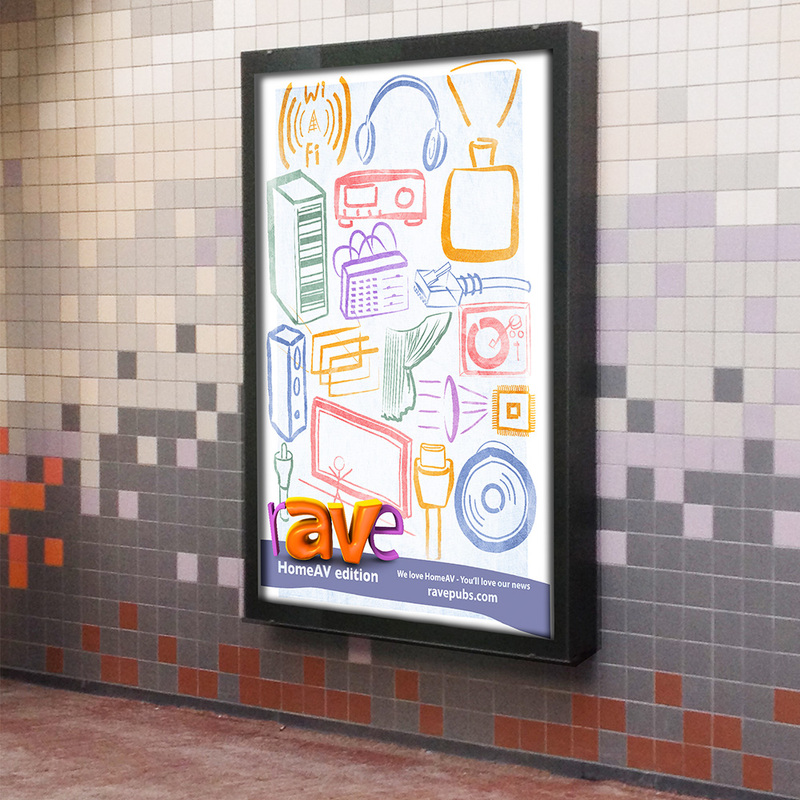 I hand-drew the illustration digitally to keep the loose iconic feel of the common tools of the AV industry. This design was also displayed on larger digital signage displays during the tradeshow.